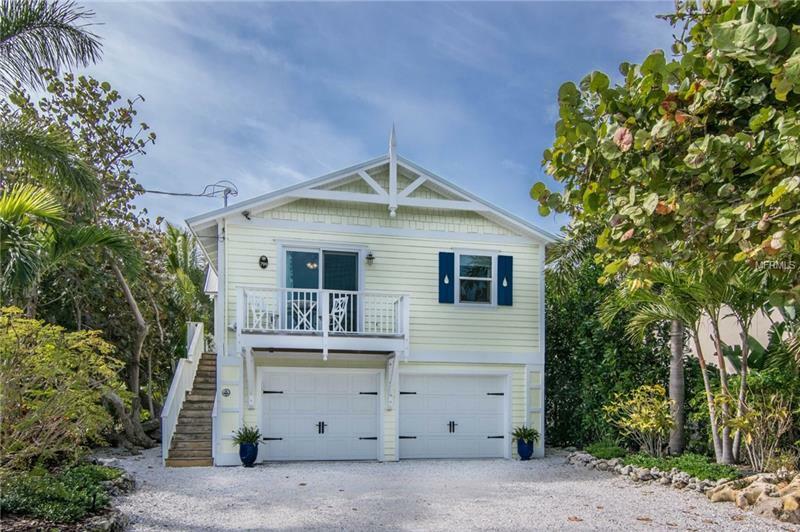 Completely remodeled in 2013, this intimate cottage offers an array of premier quality appliances, furnishings and fixtures, all carefully selected to ensure your comfort and convenience. The kitchen is well-equipped with Sub-Zero French Door refrigerator, Sub-Zero Dual Zone Wine Refrigerator, Wolf Six-Burner Gas Range, Wolf Microwave Drawer, and a custom-designed bar-height counter that easily seats six for gourmet dinners or casual conversation. Step outside and discover a large sundeck, a Lynx gas grill and even an âeggâ style smoker/grill for especially memorable meals. Privacy is enhanced by lush foliage on every side of the property, creating an especially intimate tropical setting for the small heated swimming pool and covered patio. Originally created for romantic weekend retreats, the master bedroom accommodates a king-sized bed and features a marble bathroom with walk-in shower, and small closet. The second bedroom is currently furnished with two twin beds. An attractive second bathroom with soaking tub and shower combination is located adjacent to a full-sized washer and dryer, both hidden neatly away from view. Throughout the home youâll find quarter-sawn wide plank French oak plank flooring, plumbing fixtures by Rohl, and Hinkley Lighting fixtures, custom window treatments and built-ins, and a gas fireplace. This elegant cottage has been thoughtfully renovated to serve as a cozy, peaceful retreat just footsteps away from one the best beaches in the world.